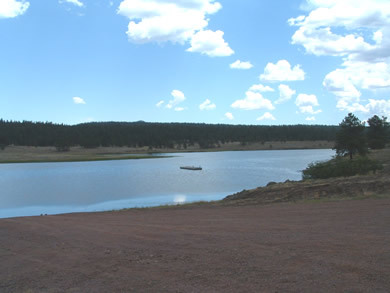 Luna Lake Campground is located just 4 miles east of the city of Alpine. 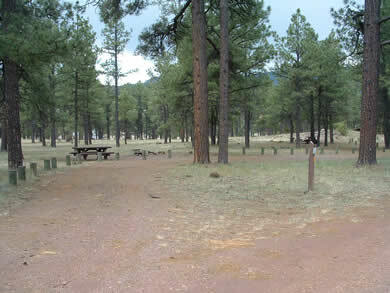 The campground is divided into two areas. 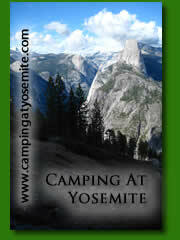 One area is tent only while the other area is tent, RV or trailer camping. There are 3 group sites are available by reservation only (1 Large 100+ person & 2 small group site of under 20 people). Luna lake is the largest body of water in the Alpine district. As summer goes by, water is drained from the lake for irrigation purposes, so fishing is much better after the thaw than in late summer. There is a boat launch available and a small tackle shop and boat rental facility on the lake. Motors of 8 horsepower or less may be used on the lake. Rainbow trout are stocked regularly during the late spring and summer months. From Alpine head east on U.S. Highway 180 for 4 miles to the lake entrance. The campground 1 mile northeast from the lake entrance.